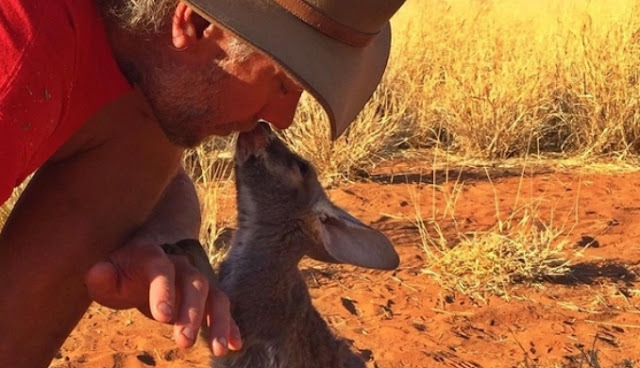 Dubbed 'Kangaroo Dundee', Chris 'Brolga' Barnes has been saving orphaned kangaroo joeys in Outback Australia for the past nine years. While working as a tour guide in the Northern Territory, he realised that people in remote areas of Australia were looking for a place to take orphaned or injured animals, so he opened The Baby Kangaroo Rescue Centre. 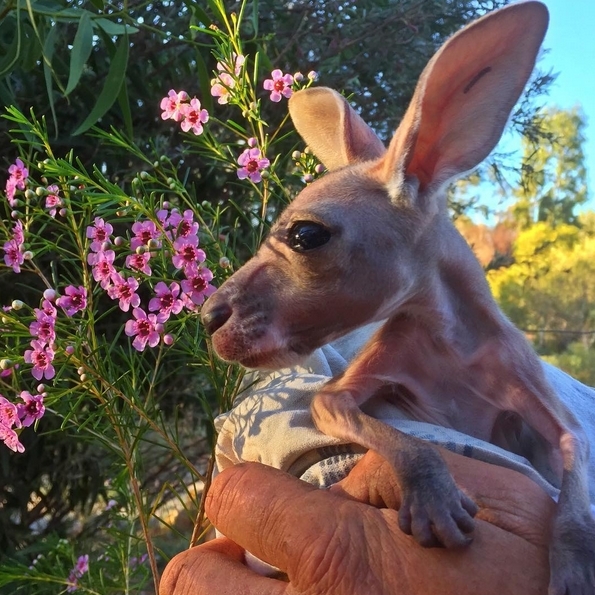 It was later redeveloped and expanded into the larger Kangaroo Sanctuary just outside of Alice Springs. Brolga's 36 hectare area of bushland homes 30 kangaroos of various ages. 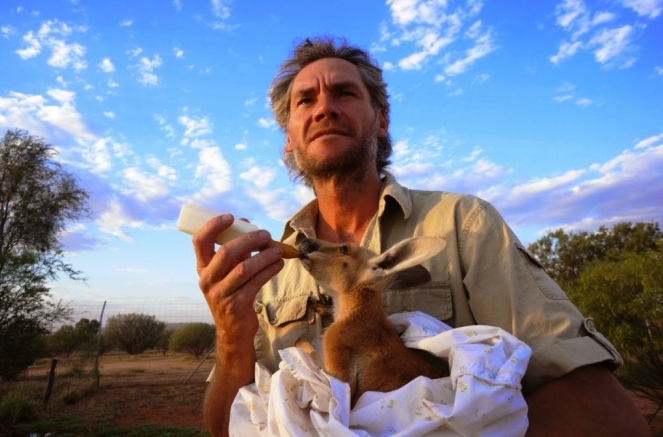 He tries to keep the bushland untouched so that the roos all feel like they are in a natural habitat before being released. 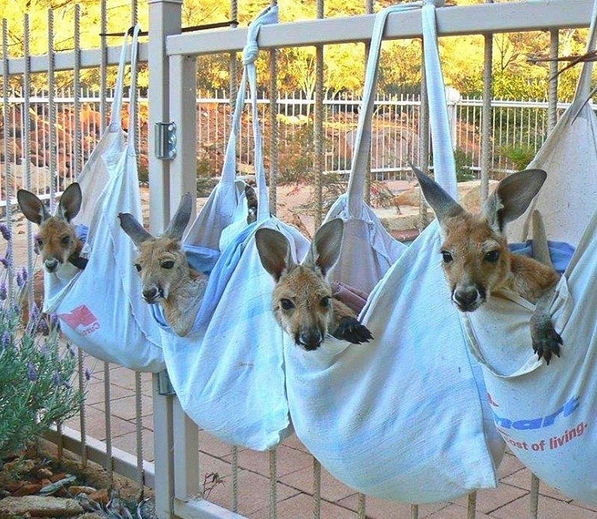 For the young joeys he creates a faux pouch out of canvas bags and blankets or pillow cases. 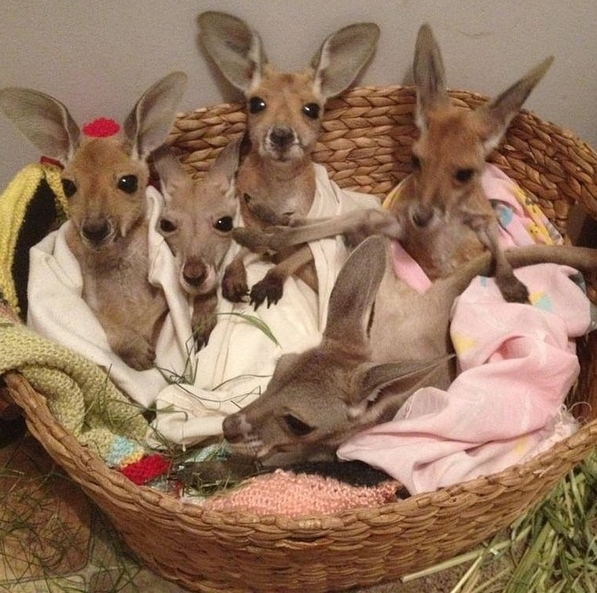 'The babies need to be kept warm so they go everywhere I go' he said. 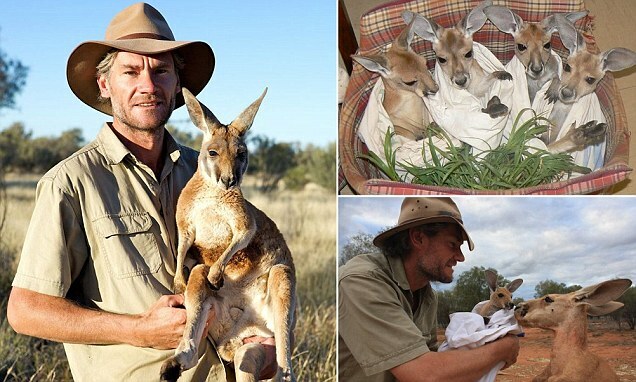 Responses to "Australian Man Is Surrogate Mum To Hundreds Of Orphaned Kangaroo Joeys"
Good people ! Obrigado ! What a compassionate human being! People like this deserve the humanitarian award. Love seeing humans open their hearts & helping animals.